Saving money on groceries has always been something that was important to me. While I was raising my five kids, you can imagine what the food bills were like. I was always looking for coupon deals to help me stretch my dollars. Now that I live with my daughter, her husband, and their three children, I see that times haven't changed much. We now use coupons all the time, too. It really does help us save money, and what's so great is that we can easily find and use online coupons. 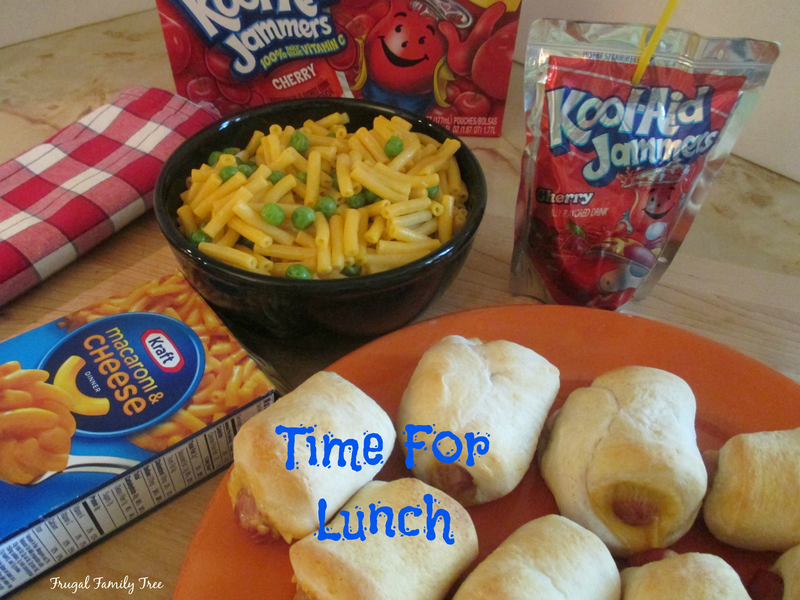 I made one of my grandchildren's favorite lunches for them the other day, and I used Kraft coupons to save me money. The Walmart website has lots of great coupons for popular Kraft products that we use everyday. The money we save on coupons really adds up, and I know most families like us, love the savings. The same great tasting Kraft products that I bought for my kids are the same ones my grandchildren love today. I wonder how many boxes of Kraft Macaroni & Cheese and packages of Kraft Singles I've bought in my life?? The kids adore macaroni and cheese for lunch, and Pigs In A Blanket, which is beef franks with cheese and dough, and baked in the oven. When I was shopping at Walmart, I used my printable coupons to save money on some of my family's favorite Kraft items. Back in the day, we had to search through the newspapers to find grocery coupons, and that was really time consuming. I love how the Walmart website lets you print them off quickly and easily. Yes, times have definitely changed!! I've been making Pigs In A Blanket (we call it this even if I use beef) for years. They are so simple to make but so tasty. We say they are for the kids, but the adults love them too. I like how the cheese melts and the biscuit hold in all that yummy goodness. Sometimes I will make a big batch and put them in the refrigerator for the kid's lunches all week long. I like to be a sneaky Nana and add veggies to my grandchildren's meals whenever I can. For this lunch, I simply added peas to the cooked Kraft Macaroni & Cheese. Just put a cup of frozen peas with a little water in the microwave for 60 seconds, then add them to the hot macaroni and cheese, then give it a good stir. The kids always eat it up, and I'm happy they ate a veggie, too. We really go through so many boxes a month, that I used a great coupon for it from the Walmart website. Just go there and print out a coupon to save $1.00 off Kraft Macaroni & Cheese 5-pack (prints are limited). Ashley is two now, and loves her lunchtime. Her brothers were still at swim lessons, so it was nice for her and I to have a quiet lunch together. But we knew at any moment the boys would come busting in the door, asking for their own lunches. Kool-Aid is a family favorite, and the kids love these handy Kool-Aid Jammers to drink with lunch. 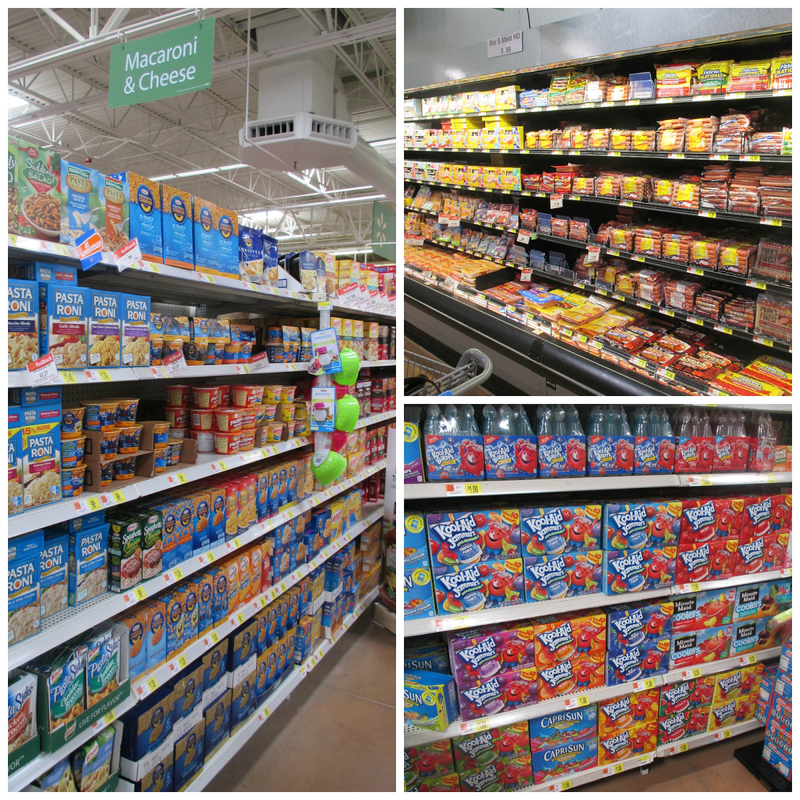 You can find all these Kraft food items and many more at your local Walmart. Be sure to use the digital coupons available to save money on your favorite Kraft products. Kraft's printable coupons are available for a limited time only, so make sure to get yours soon to take advantage of these savings. If your family is anything like mine, we love saving money on our grocery bill, and using coupons is one of the easiest ways to do that. I bet your grocery budget will be #PackedWithSavings. And I'd love to share with you my super simple recipe lunch, one that the kids will be sure to love. Slice hot dogs evenly in half. Slice cheese in half. Open package of biscuits and lay out each individually and flatten slightly into an oval shape. Tightly wrap a piece of cheese around the hotdog. Take the slightly flattened biscuit and wrap it around the hot dog, squeezing edges firmly together. Lightly spray a baking sheet with cooking spray, and place them 1/2 inch apart. Bake for 12-14 minutes. Let cool 5 minutes before serving.